Our approach is to combine & integrate best practice solutions that will keep your facility clean & comfortable, while reducing waste and improving energy consumption. Our sustainability solutions address cleaning, recycling and energy reduction services. Green Seal is widely recognized throughout North America as an independent non-profit organization that is dedicated to safeguarding the environment and transforming the marketplace by promoting the manufacture, purchase and use of environmentally responsible products and services. 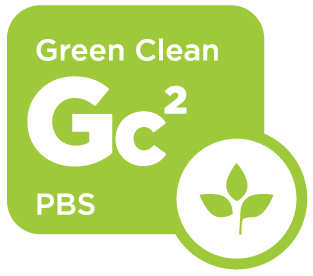 Priority Building Services proudly uses Green Seal Certified products as part of our sustainability program. Very few companies in California carry the certification and only a CIMS-certified organization can say that an independent third party has performed an assessment of their systems, processes, and policies and agreed that they have instituted the management framework required by CIMS and demanded by those individuals responsible for selecting a cleaning service provider. Priority Building System's program can assist your facility towards LEED certification for Building Operations & Maintenance EB. From the cleaning solutions we use (spot cleaners, pre-spray treatments and in-tank solutions), micro-filtration fitted vacuums to deep cleaning extractors and systems; you can rest assured your carpets will look better and last longer with Priority Building Services Floor Care solutions. USGBC members represent the best organizations from all fields. Members are local and international, big and small, mission and market-driven. They make an impact within their sphere of influence and advance the movement for a more sustainable built environment. Priority Building Services is a proud member of the U.S. Green Building Council. Thirty percent (30%). Thats the amount of energy the average commercial building wastes. If you've never done anything to save energy at your building, chances are you have a lot of room to improve. In fact, it’s often possible to reduce energy use by 10 percent with little or no cost. Let an energy expert from Priority Building Services benchmark your current energy use and then develop a plan to help reduce energy consumption.